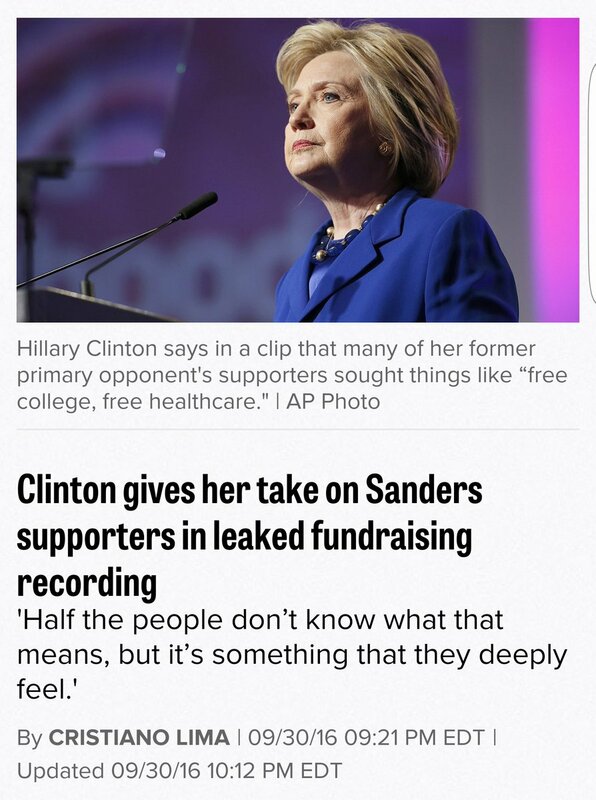 Once again Crooked Hillary has stuck her foot in her mouth by insulting voters. This time the target of her condescension and disdain are Millennials and Bernie supporters. She mocked them as being so stupid they do not understand what they say they believe in, living in their parents basements, and bring naive. So far media on the right is all over this. The left is figuring out how to either ignore it, or down play it. For a brief moment, Politico started to cover it in an unbiased fashion as shown in their original story and headline. Then the left and Hillary supporters started to whine and complain on social media. 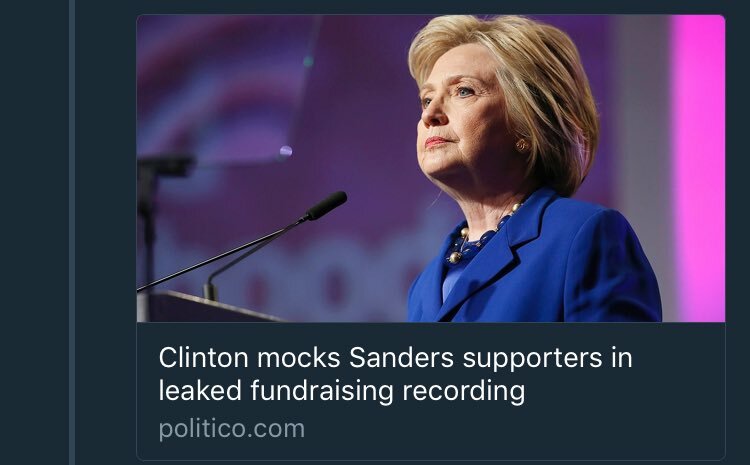 With that, Politico changed the headline to down play it like good Clinton lap dogs. Just another example of a media that is all to eager in their pursuit to throw this election to their preferred candidate.